It was fourth bottom against fourth top as the new boys in Super League, the London Broncos, had a Saturday early evening fixture against the Castleford Tigers. The Trailfinders Sports Ground in west London was the venue as a decent away following from West Yorkshire ensured a cracking atmosphere. At this early stage in the season a win by more than twenty points would lift the Broncos above their opposition, but the odds were against it with Castleford as strong favourites to consolidate their position, a twenty-two point win being enough to see them into top spot. Fresh from their convincing victory over the Salford Red Devils last weekend, the Rhinos were once again on the other side of the Penines, this time to take on a St Helens side looking to maintain their one hundred percent record and with one eye on the top of the table. Dave Furner made three changes with Oledzki and Sutcliffe back in his seventeen and a late withdrawal of Matt Parcell with injury meaning the Cameron Smith kept his place in the side. Saints were unchanged for the third consecutive match of their 2019 campaign. This is a fixture which is rarely a dull one, but the odds were in Saints favour to record the win. Wakefield Trinity were looking to record their first points of the 2019 season as they welcomed sixth placed Catalans Dragons to Belle Vue for a round three encounter in front of the SKY TV cameras. Chris Chester’s Trinity were without the services of Danny Kirmond and Craig Huby as both forwards were ruled out through injury, the Dragons coach Steve McNamara was able to call on the services of David Mead, Ben Garcia and Antoni Maria but he was without Julian Bousquet. Wakefield had the chance, if they scored enough points, to go above the Dragons, whereas the Dragons were eying up a place in the top four. ‘When two hemispheres collide’ was the billing for the clash of north versus south, the best of Super League against NRL, the Wigan Warriors hosting the Sydney Roosters in the 2019 World Club Challenge. Adrian Lam’s Warriors were unchanged from the side which swept aside the Leeds Rhinos in the last round of Super League as they took on Trent Robinsons side who beat Melbourne Storm by 21-6 in the 2018 Australian Grand Final, their last time out. Tonights’ game was Wigan’s eighth World Club Challenge, already with four wins under their belts. 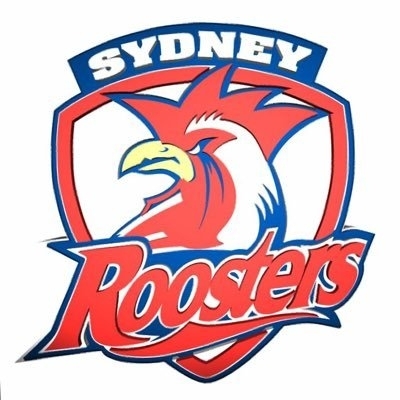 But the Sydney Roosters were looking to go level with the Warriors and record their fourth win, having previously been unbeaten in the prestigious inter-continental competition. With the fixtures spread over three days, there was a disjointed feel about round three of the Betfred Championship as the sides jostled for early season league points and positions. Friday night saw the Sheffield Eagles host the Bradford Bulls while Toronto and Widnes went head to head on Saturday afternoon. Also on Saturday, Toulouse took on Rochdale in the south of France while the remainder of the games were played out on Sunday. The Rams faced Swinton, Halifax welcomed the Batley Bulldogs, Leigh were at home to Featherstone while York were visited by Barrow. Top against bottom as the Salford Red Devils hosted the Leeds Rhinos in an early round ten match, on the weekend of the World Club Challenge. Salford had the chance to go two points clear of the pack if they could record their third consecutive win at the start of the season, a thirty-nine point win could lift the Rhinos up to fifth in the embryonic league table. Ian Watson had the luxury of naming an unchanged side for the third consecutive week, Dave Furner’s Rhinos were without Liam Sutcliffe and Mikolaj Oledzki but did welcome back Brad Singleton. It was second against third as two of the remaining one hundred percenters in the Betfred Championship met in Newcastle for a Toronto Wolfpack home game. The Widnes Vikings went into the game trailing their hosts by a vastly inferior points difference. A five point win would see Toronto finish the weekend at the top of the pile but if Widnes could win by more than thirty-four then they would leapfrog the Canadian outfit into top spot. 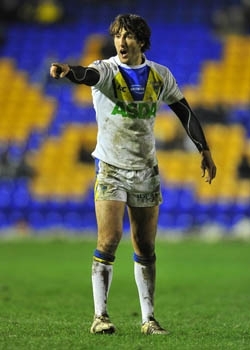 Brian McDermott came into the game knowing that his side would face one of their biggest hurdles of the season as they came up against the side who were relegated in 2018. Toronto won by 20-12 when the two sides met at Lamport Park in the September Middle 8's last season. It was a mouthwatering prospect at the top of the Championship between two sides with clear aspirations of Super League 2020. The opening fixture of the Betfred Championship One season saw Doncaster head north to take on Newcastle Thunder in the first of a double-header which would later see the Toronto Wolfpack host the Widnes Vikings in a third round Championship fixture at the Kingston Park Stadium. 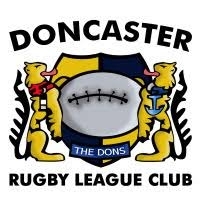 ExHull FC favourite Richard Horne was coaching a Doncaster side with a number of dual registered players with his old Black & Whites side, to take on Jason Payne’s promotion hopefulls whose side was sprinkled full of players with higher league experience. Excellent conditions and a 4G pitch would ensure that there were no weather or pitch excuses for anything other than a top game. 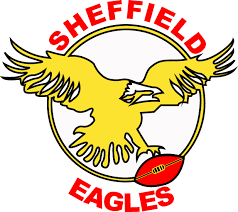 It was a top of the table early season clash as second placed Sheffield Eagles and the Bradford Bulls in fourth came into the game with both sides hoping to maintain their winnings starts to the season. It was two old timers, John Kear against Mark Aston, who both knew that this was a fascinating encounter at the beginning of a long season, which both may find increasingly difficult as it progresses. The Olympic Legacy Park, with its 4G pitch, were ideal conditions for the players but it was a cold night for the spectators in a swirling wind as both sides looked to finish the night in top spot. Round Two of the Betfred Championship was played out over Saturday and Sunday with the Widnes Vikings travelling to Toulouse for the Saturday afternoon match. Sunday saw the Bulls at Swinton, the Centurions making the trip to Halifax, Featherstone hosting a local derby match with Batley, and the Eagles making the trip up to Cumbria to face Barrow. Dewsbury and York had a meeting in West Yorkshire, while the Toronto Wolfpack were in Rochdale as the Lancastrian side got their season underway after last weeks postponement. Once again there would be some close and exciting games. Long established National Conference Premier League side Wigan St Patricks welcomed the GB Police to Clarington Park for a Coral Challenge Cup second round game. St Patricks beat Leigh East by 24-12 in the last round while the Police recorded a 44-18 win over Wallsend Eagles. A place in tomorrow evenings third round draw was on offer with a chance to be drawn against one of the semi-professional sides and test themselves against higher league opposition. Two defeated sides from Round One, the Catalans Dragons and Huddersfield Giants had an appointment in the south of France for an early season four-pointer. Both sides took an opening weekend beating, the Dragons at the hands of Castleford and Huddersfield at home to Salford. The Giants are still injury ravaged and went into the game without six first teamers, while the Dragons were without David Mead who has returned home to Papua New Guinea on family business. On paper this was a walkover for the home side, but could the Giants spring a surprise. One of the games of the second round of the 2019 Coral Challenge Cup was in Kirkstall, Leeds as the Milford Marlins played hosts to Lock Lane from Castleford in local derby to set the pulses racing. 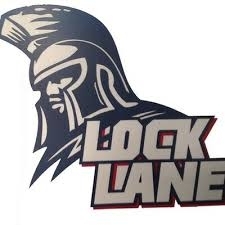 Milford are in the National Conference Division One whereas their visitors Lock Lane ply their trade in the National Conference Premier, Although both sides were in division one last season, Lock Lane gaining promotion. Both sides were desperate to progress, both for local bragging rights and the chance to take on one of the semi-pro sides in the third round. Conditions were perfect on Leeds Rhinos 4G training pitch as the sides took the field. The bottom two sides in a fledgling Super League 2019 table met at the DW Stadium as the Wigan Warriors hosted the Leeds Rhinos. Wigan needed the points to overcome their points deduction, while the Rhinos needed a win before bad habits set in under the new stewardship of Dave Furner. This was the last chance for Wigan to hit some form ahead of their World Club Series match against the Sydney Roosters a week on Sunday, but the Rhinos and their travelling band of fans were looking to upset the overwhelming bookies odds and pick up a victory. The only change for the Warriors was a switch of Clubb changing places with Navarrete in the starting thirteen. The Rhinos had Dwyer and Peteru in the run on side with Cuthbertson and Parcell moved onto the bench. The opening fixture of round two saw the Castleford Tigers travel to an embattled Hull FC as they looked to follow up on last weeks opening round win over the Catalans Dragons. 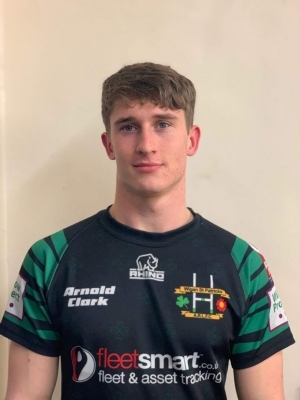 FC were looking for their first win in thirteen outings, stretching back to the 29th June 2018, and coach Radford was delighted to welcome back England half-back Jake Connor after he missed the opening loss at Hull KR through suspension. He also had Hakim Miloudi and Joe Westerman in his starting thirteen, and Micky Paea on the bench. The Tigers had just a couple of changes with Alex Foster replacing Mike McMeeken, who was ruled out with concussion. The opening weekend of the Betfred Championship served up some interesting prospects as the Widnes Vikings, York City Knights and Bradford Bulls joined the survivors from last season in an expanded fourteen team competition, all with their sights on the play-offs final and a Super League XXV place in 2020. The game of the round saw newly promoted York City Knights take on last years losing Million Pound Game side the Toronto Wolfpack as the Canadian side welcomed a new dawn under coach Brian McDermott. Elsewhere Bradford Bulls had a local derby against Featherstone and the relegated Widnes Vikings hosted Halifax. It would be an exciting first Sunday. Nothing warms the cockles of ones heart like the prospect of a Hull derby on one of the coldest nights of the year. A KCOM Craven Park, packed to the gills with the colours of the Robins and the Airlie Birds was raucous with anticipation of the season opener. Both sides had disappointing 2018 seasons, Hull KR battling it out for survival in the middle eights and Hull FC losing their last eleven games, and had reshaped their squads over the winter. The visitors were the favourites but with a vastly changed line-up it was Tim Sheens who were the mystery package. The orange balls were brought out on a very firm pitch with the expectations of some snow or sleet during the eighty. While the temperatures in the stands were sub-zero, on the pitch it was likely to be red hot. The champions, Wigan Warriors, had a local derby against last seasons league leaders St Helens at the Totally Wicked Stadium to herald the start of the 2019 Betfred Super League season. Despite arctic conditions, the endeavours of the ground staff meant that the game was never in doubt, and the stands were packed in anticipation. New Cherry & Whites boss Adrian Lam was dealt a blow on Wednesday when his side were docked two league points for a 2017 salary cap breach. But it was something else that he could use as motivation as a somewhat changed side looked to get their season off to a winning start. St Helens came into the game as pre-season favourites to go all the way to Old Trafford and lift the Super League trophy, but the promise of a long season stretched out in front of both teams.